"PRIHODA, DRDLA, KUBELIK PLAY SOUVENIR"
Jan Kubelik, Franz Drdla, Vasa Prihoda, Jaroslav Celeda - violin, Bruno Seidler-Winkler, Otto A.Graef, Charles Cerne, Jan Heller, Alfred Holecek - piano. Production: Jan Kubelik Society. Text: Czech, English. Recorded: 1905 - 1949. Released: compilation 2004. TT: 70:48 AAD 2CD Frantisek Rychtarik, production center FR0078-2. Record companies in the Czech Republic are doing their best to keep up with the rest of the world, but in certain fields they don't. While there are a lot of interesting recordings in the archives of Supraphon and Czech Radio, there is a shortage of archival recordings that have been sensitively treated using modern techniques. This shortage is due marketing reasons. We do not have enough collectors in our country and there is tough competition in the world market. So we have to admire the single-mindedness of the Jan Kubelik Society and even more the attention the Society gives to the heritage not only of the famous virtuoso, but also of his colleagues. The recordings the Society releases are published with the wonder of discovery, editorial competency and broad-mindedness. (The concertmaster of the Czech Philharmonic Orchestra, Mr. Miroslav Vilimec, is behind all of the projects). Jan Kubelik (1880 - 1940) is this time kept a little bit in the background, if we count the number of tracks. The CD is focused on Frantisek Drdla (1868 - 1944), who is known as a composer of many charming pieces. 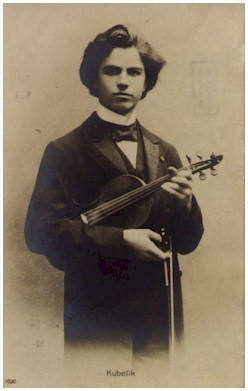 Vasa Prihoda (1900 - 1960) competes with Jan Kubelik. Also mentioned is Jaroslav Celeda (1890 - 1974), who used to be known more as a writer (books about Kubelik, Slavik and Frantisek Benda) than as a violinist. The title of the CD was not chosen by chance, as we find here the recording of Drdla's "Souvenir" as interpreted by Kubelik, Prihoda and even the composer himself. In spite of the fact that from a technical point of view, Kubelik's is the best one, the interpretation of Prihoda is more elegant and has more charm. Kubelik's technical mastery is clear in Zephyr by Hubay and also in the nostalgic melodies. Franz Drdla was a respected personality of the time in spite of the fact that he did not reach the level of Kubelik and Prihoda. The recordings have different technical levels, but the themes are well treated and keep the charm of their time. By the way, the first of Kubelik's recordings were released before the First World War (the oldest one in 1905), the second one in 1933. 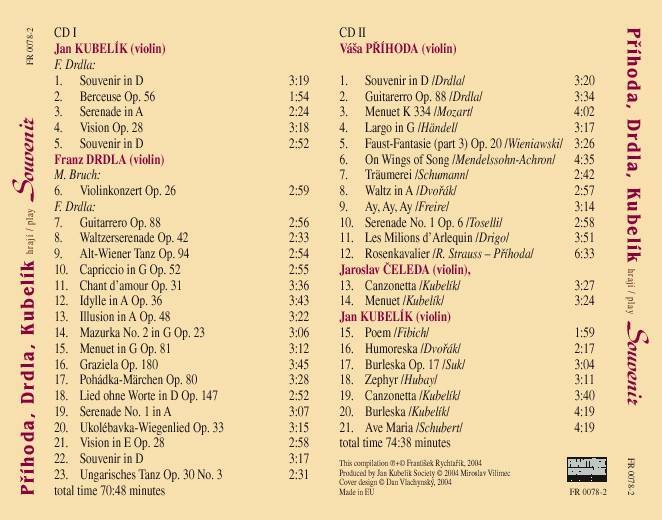 Recordings of Drdla and Prihoda were released between the wars (with few exceptions), Celeda's in 1948. For collectors, this title is indeed a little jewel. The Jan Kubelik Society has greatly improved its presentation since its first issue, which was devoted entirely to its eponymous violinist. These two discs come with a lavish, beautifully illustrated booklet containing discographical details and biographies of the four violinists included. I had never before encountered many of these recordings by Frantisek (or Franz) Drdla (1868 - 1944), a snippet of the Bruch G minor violin concerto from 1903 as well as 17 of his own salon pieces, two recorded in 1912 and the rest in 1924 (showing no decline in his powers). While Drdla comes across as a wholly 19th century player, using little vibrato, Jan Kubelik (1880 - 1940) is a transitional figure playing four pieces by Drdla (one of them twice), his own Canzonetta and Burlesca and such classics as Fibich's Poeme. Kubelik's Sevcik-drilled technique remains strong over a span of 28 years, starting in 1905. I find much of his playing entrancing and seven well-recorded tracks from 1933 let us hear how he does it. For really bewitching violin virtuosity, turn to Vasa Prihoda (1900 - 1960) in the twelve tracks from 1924 and 1935. Here is an almost modern player with not only very individual vibrato and portamento but also sensational left-hand and right-hand technique. Musically too, Prihoda is a magician, walzing enticingly into an extract from Wieniawski's Faust Fantasy, Dvorak's Major Waltz his own Der Rosenkavalier transcription. 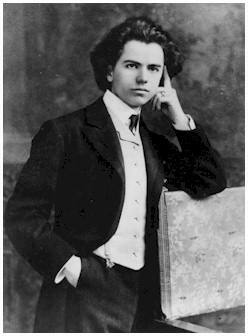 Even popular songs such as Freire's Ay, Ay, Ay and Toselli's Serenade are grist to this great virtuoso's mill. His Drdla Souvenir is the best of show. Jaroslav Celeda (1890 - 1974) plays Kubelik's Canzonetta and Menuett nicely on two 1949 tracks. The transfers from 78mm discs are mostly good.